The idea arose from a South American socialist government in the late 20th century — allow citizens to participate in the governmental budgeting process. Now spread worldwide, participatory budgeting has drawn the research interest of a Franklin & Marshall College professor. Most of the municipal, regional and state governments that provide participatory budgeting are in democracies. China and Russia also encourage citizen participation, which McNulty found “interesting, since they are not democracies.” The Hewlett Foundation funds her and two researchers from other institutions. Whether governments listen to their citizens depends on the particular government. Participatory budgeting started under Brazil’s Socialist Democracy Party in Porte Alegre, in 1989, but now takes place in thousands of jurisdictions around the world, McNulty said. Participatory Budgeting: Does Evidence Match Enthusiasm? “Most of the research suggests that if the government is really open to citizen participation, and citizen groups are strong enough to really participate in a robust way, it tends to have some fantastic outcomes,” she said. 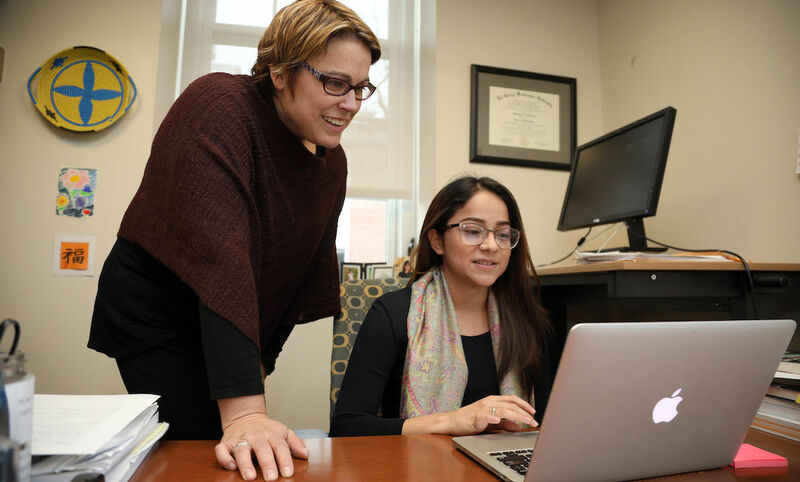 Earlier this year, McNulty returned to Lima, Peru, where she has done research for decades, with F&M Hackman scholar Amy Largacha Cedeno, a junior economics and government major. For one month, they observed and recorded participatory budget meetings. After each meeting, McNulty talked to neighborhood groups to get their thoughts.